If patent trolls go after your clients businesses, are they prepared to defend themselves? Small companies don't have the resources to go after opportunistic patent trolls. 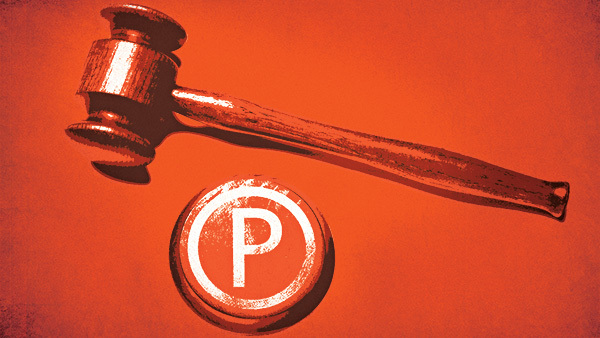 Advisors who number venture capitalists, startups and emerging growth companies among their clients might already know about a lurking threat to businesses: patent infringement suits brought by nonpracticing entities (NPEs), also known as patent trolls. Such suits can get expensive, and many young companies don’t have the resources to research the NPE’s claims, find a lawyer or even simply pay up. Some ultimately close up shop. The first time many companies hear about these suits is when they receive a letter from an NPE telling them that the technology they’re using is under patent to a firm with whom those companies have not signed licensing agreements. The NPEs try to get a settlement or a royalty arrangement. Either can cost a company a considerable amount of money even without taking the matter to court. Some NPEs buy up idle patents and go after companies on the chance they can be intimidated into paying to use technology that may or may not even be related to the patent in question. Others represent, or claim to represent, patent holders who say they’ve been ripped off by a company’s use of technology. While many suits have been against large companies with potentially big paydays, many others are against companies too small to afford the time and cost of defense. Early this year, Cisco, Motorola and Netgear threw in together to fight the suits brought by Innovatio IP Ventures, which went after chain hotels and coffee shops—hardly hotbeds of technology innovation. Innovatio was asking for relatively small amounts, but boldly asserting a patent claim on, of all things, using WiFi. Innovatio started filing suits in 2011, claiming infringement of 17 patents and sending 8,000 letters demanding licensing fees in four-figure amounts. In October 2012, the three business biggies brought a lawsuit against Innovatio that alleged RICO violations in its approach to suing the hotels, which was ultimately thrown out by a judge in 2013. Scola said, “more than 60% [of patent lawsuits] are hitting companies with less than $100,000 in revenue.” In addition to the problem presented by the suit itself, a firm may also face a holdup in follow-on funding in the ongoing process. That’s something that could be the kiss of death for a small firm. RPX’s original model, Scola said, “was simple. If you aggregate capital across a range of companies and buy patents, you can clear the risk for those individual companies more than those companies can do on their own. It’s not an extremely high barrier to beat, because if you are buying, you are not litigating.” Legal expenses, according to RPX, are historically about half the total costs of NPE litigation. Since “about one in 10 venture-funded companies will see a suit within five years of getting funded,” Scola said, the likelihood of a company having to face this issue at some point is pretty good. Scola said, “For every dollar of settlement, there is a dollar of litigation cost. If you simply buy and don’t litigate, you spend one dollar instead of two, and it might be 40 or 50 cents” instead. According to Scola, RPX spends $150 million on patents each year, “clearing risk out of the market” for midtier companies. With all the data they gain annually from patent acquisition, the company has built an actuarial model that “allows us to predict the frequency and severity” of patent risk so that RPX can model NPE risks in a way that other companies can’t.